With Bradley Cooper’s American Sniper sitting comfortably at fourth place at the box office after four weeks in wide release and eight weeks in theaters, it’s clear that his role as “the deadliest sniper in history” resonates with many people — but can he beat a British Oscar winner? This weekend, audiences everywhere got to see Colin Firth kick major a** as a James Bond-esque super spy in the amazingly entertaining Kingsmen: The Secret Service. 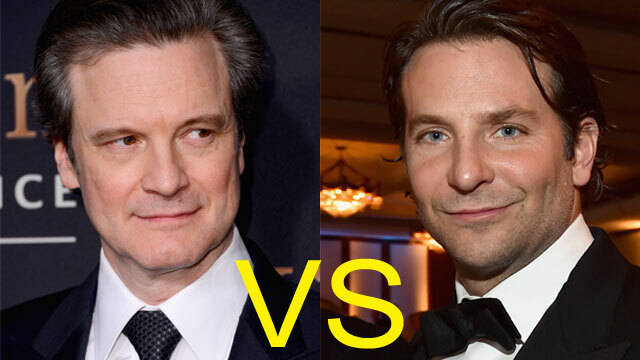 So which acclaimed actor would win in a fight between their acting careers? We’re here to get a definitive answer in another installment of Celebrity Showdown! *Results are not actually scientific.